How Does Emily Blunt's Mary Poppins Compare to the Original? 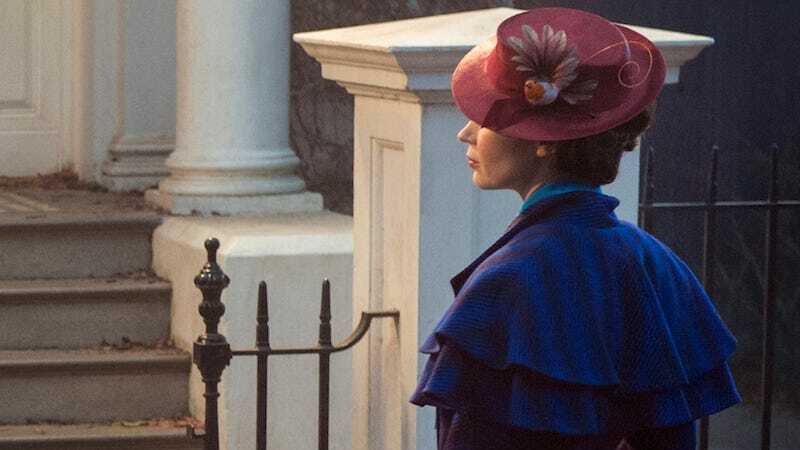 Disney’s sequel to the classic story of a magical nanny will be in theaters next year, but now we have our first look at Emily Blunt as Mary Poppins. And she’s filling the big shoes that Julie Andrews left pretty well. There’s a lot more color in the new costume, and a lot fewer flowers, but the classic silhouette is all there. It’s a pretty good way to update the ensemble, actually, and not force Blunt into a position where she has to wear a recreation and generate expectations about how similar she is to the previous Mary Poppins. I’m legitimately interested to know how the film deals with adults re-engaging with magic they’d experienced as children. We’ll find out on December 25, 2018.